The Twilight Saga is most definitely one of the biggest movie franchises of the 21st century, but did you know that the books are just as popular? That's right, before Robert Pattinson and Kristen Stewart conquered the hearts and minds of teenage girls on the big screen, the books have been enjoying #1 spots on all kinds of best-seller lists. The Twilight series sold more than 100 million copies worldwide! And, it was translated into 37 languages. Back in 2009 this lady made 50 million US dollars! So, you want to meet the author? Then let's check out some awesome facts about Stephenie Meyer, the woman who brought Edward and Bella to life. Oh, and by the way, she's not only known for record-breaking vampire romance stories: Stephenie also wrote The Host, yet another hit - both on the shelves and on the screen. - Mrs. Meyer was born on December 24, 1973, which makes her 42 years old. Her maiden name is Morgan. Her hometown - Hartford, Connecticut. Stephenie has 5 siblings, 3 kids and a BA in English. - Definitely one of the most awesome facts about Stephenie Meyer: she met her future husband, Christian, when she was just four years old! So, when did they marry, exactly? When they both turned 21. Tell me you don't think that's an amazing plot for a book?! - As unbelievable as it might sound, the author of one of the biggest best-sellers in history had literally zero experience in writing before she wrote Twilight back in 2005. She said once in an interview that the concept of the book came to her in a dream. You believe that? - They say Stephenie was writing just for fun and never even thought about publishing her work. However, her sister did that for her. At first, they rejected the book 9 times in a row :). But, when the first agent said "yes", 8 companies started a "hunt" for the publishing rights. God works in mysterious ways! - So, who do you think would inspire a young woman from Connecticut to start writing? Shakespeare (! ), Brontë and Austen are her biggest influences. By the way, Muse, one of the greatest rock bands ever, is also an inspiration to her. 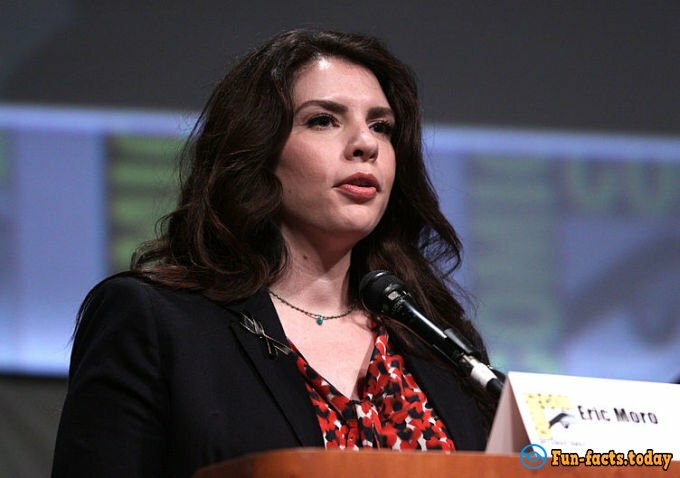 Awesome facts about Stephenie Meyer keep on coming! - Interesting fact about Stephenie Meyer: the biggest fans of the author's work celebrate Stephanie Meyer Day on September 13, which is Bella's birthday. How cool is that?! - Stephen King, one of the greatest writers of our time, doesn't have much love for "the mother of all vampires" and said once or twice that Twilight's main message is "it's great to have a boyfriend". The feminists also "attacked" her (say what? ), claiming that writing about a "psychically abusive relationship" is not right. Well, that's just ridiculous!